Register your school for Walktober (October 2018)! 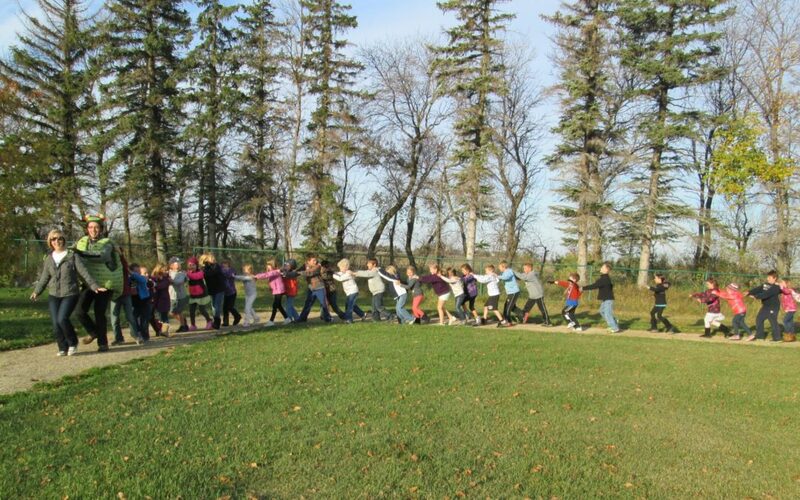 Walktober, previously known as International Walk to School Month, is an annual event where schools across Manitoba celebrate students walking to school as often as possible. Walktober celebrations are unique to each school, and you can participate for a day, a week, or the entire month! Your school or individual classrooms can host activities to encourage students to walk and have conversations around the barriers to walking in your school community. We have ready-made resources and event ideas to make it easy for coordinators to find something that suits their school. Learn more here! Some of these ideas are quite simple and others are more complex. Take a look at this list and choose what fits the event and community. Many of these strategies came from International Walk to School Award applicants. Read all of the applications for even more ideas and to find out how full programs were designed. Carry signs that display pedestrian safety messages. Hold a safety coloring contest. Create posters promoting Walk to School Day and safe driving and walking messages. Survey and create maps of walking routes to school. Use pedometers to measure steps, or simply measure walking time accumulated by students; study health benefits of physical activity. Do some physical conditioning. Learn walking warm-ups and stretches and do some progressively longer walks in class to prepare for Walk to School Day. Study the biomechanics of walking. For example, measure stride lengths-do they vary with height, weight, age, leg length? How does walking speed depend on you step speed and stride length? Look for specific plant or animal species, or inventory indigenous species along walking routes. Catalogue seasonal changes in the flora and fauna. Write press releases and public service announcements to promote Walk to School Day. Write essays or keep a diary about your experiences walking. Study historical locations in your community by walking to them. Photograph important things about your community observed while walking to school. Anything you’d like to change? What can you do about it?